Rent GoldBar | Corporate Events | Wedding Locations, Event Spaces and Party Venues. Goldbar is ideal venue for corporate, private and nightlife events. Featuring a layout that can be uniquely customized, Goldbar offers comprehensive options for cocktail parties, holiday events, charity functions, private dining, live performances, fashion shows and screenings. Goldbar is ideal for a range of events. Featuring a layout that can be uniquely customized, Goldbar offers comprehensive options for cocktail parties, charity events, private dining, live performances, fashion shows and screenings. GoldBar is also a great space for all types of photo, film and TV shoots. It has been featured in the cover of Vogue magazine, on screen in television shows such as Billions, Saturday Night Live and many more. Our experienced events team will work closely with you to prepare every detail of your event and ensure your guests are left satisfied. For a decade, Goldbar has been a top nightlife destination in New York City. 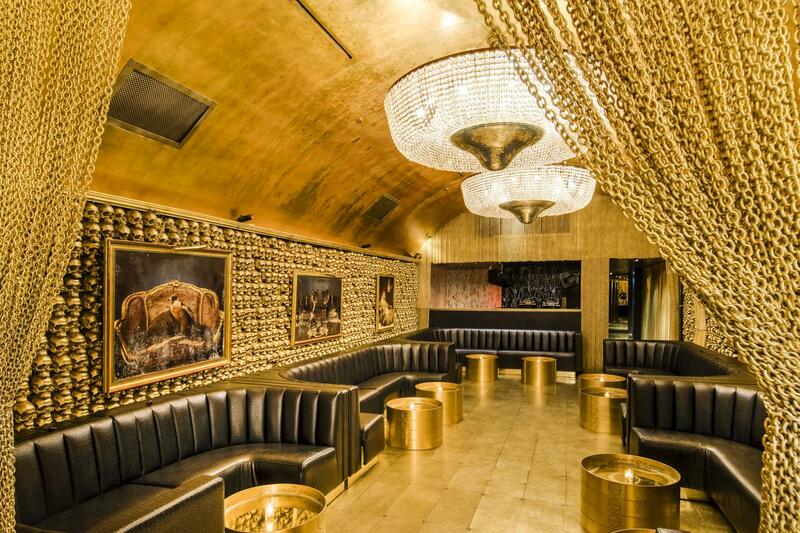 Famous for it’s golden skulls, 12’ vaulted gold leaf ceilings and crystal chandeliers, Goldbar embodies sophistication. The standout team behind Goldbar is dedicated to offering an exceptional and genuine nightlife experience. The décor, fit for royalty, sets the mood for lavish indulgence. With an impressive cocktail menu, Goldbar is devoted to innovative drinks, with only the freshest ingredients and top-notch spirits. Staying ahead of all music trends, Goldbar offers cutting edge music by a variety of world renowned DJs. Goldbar is the perfect locale for those looking for a ravishing space to enjoy themselves.